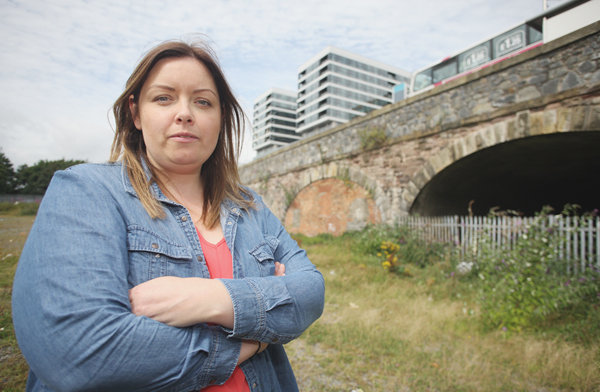 SOUTH BELFAST Councillor Deirdre Hargey has welcomed the announcement of funding for the Market Tunnels Project. The eight disused railway arches, known as the Lanyon Tunnels, connect the Market area with Belfast Central Station, St George’s Market and Lanyon Place and are to be opened up and used as commercial properties and a base for community-oriented projects. The Market representative said that delivery of the project will have a transformative effect on the Market area, enhancing links with the city centre and providing local employment opportunities. £1.3m is to be made available for the development through the Stormont Executive’s Social Investment Fund. Cllr Hargey said the project would not be happening without the hard work and dedication of all those involved in the process from the very beginning. She went on: “I also want to thank the all those in the Market Development Association (MDA) and the committee throughout the years who had the foresight and dedication to see this project through, particularly Phil McDonnell as chair and also Kathleen McCarthy, Niall Houston and Fionntan Hargey, who assisted in the day to day work in preparing plans etcetera. A spokesperson for the MDA said: “We received great news this morning (Friday). After nearly a decade of hard work the Market Tunnels Project has finally been approved. “It is a particularly poignant moment as we reflect on the legacy of our late friend Gerard Davison. Gerard put his heart and soul into the Tunnels Project and, where many others saw a dead space, Gerard had faith in his community and saw its potential. Today’s news has brought us one step closer to his vision of a strong and rejuvenated community.